I just love a little abstract splash of color on the beach. 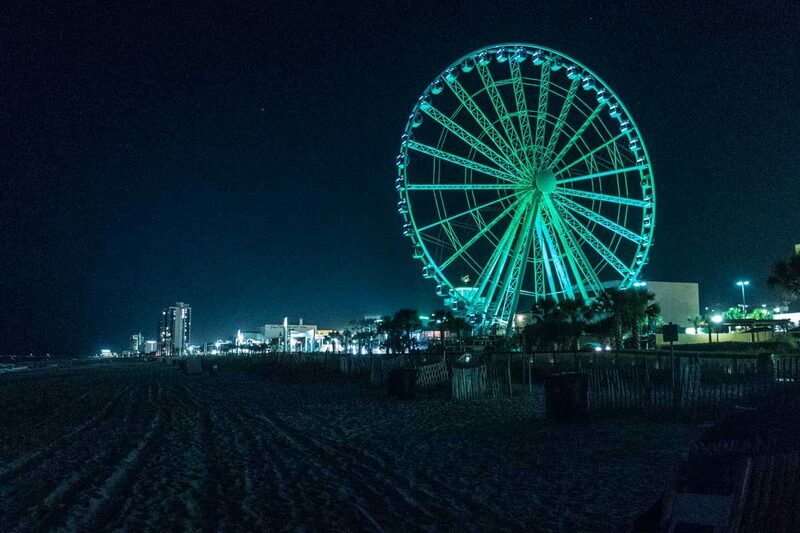 There are lots and lots of attractions to Myrtle Beach, and you can’t really see them all in just a few days. Speaking of an abstract splash, here’s the view from our hotel balcony. Doesn’t get any more laid back that this. Hell, the miniature golf courses and pancake houses alone could take months. But one of the best things, of course, when you’re staying on a broad sandy beach like Myrtle Beach is just to walk the beach. Have a look. Talk to a fisherman. Bend over and look at the shells. And maybe make believe you’re the only one there, even if you are surrounded by evidence that you’re not. This just looks like so much fun. 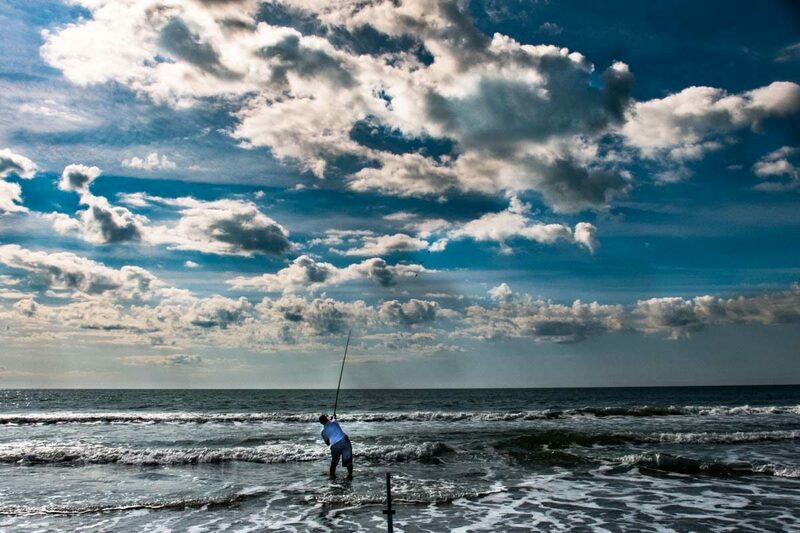 Surf casting on a beautiful day. If you are partial to such things, a night walk on the beach is always pleasant. And the amusement park at the end of the walk makes a nice frame for the journey. I love a good ferris wheel, for the view from above and below. So, take note of what’s going on around you. 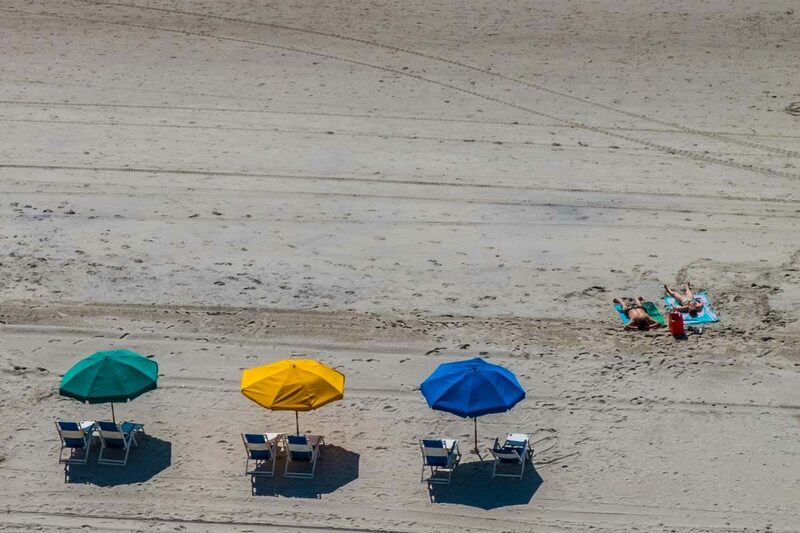 Participate in a classic American beachfront community. Have some pancakes and have a go at the jurassic miniature golf course. But most of all, enjoy the views. 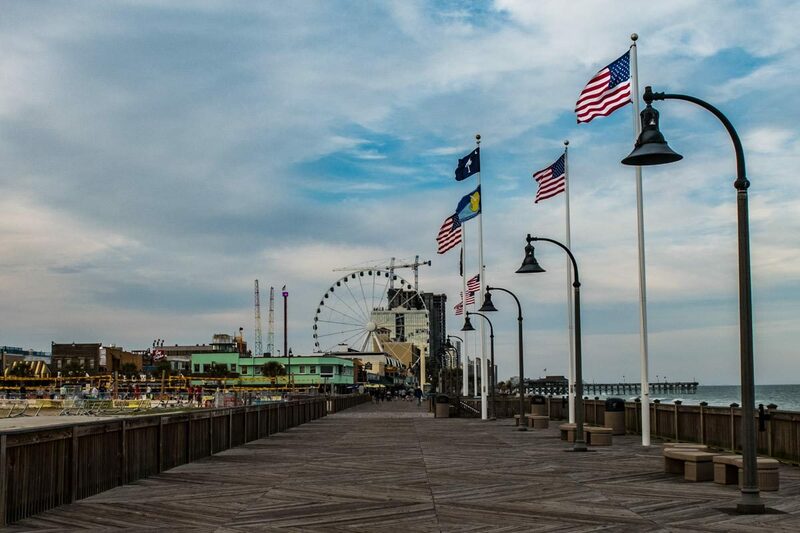 Walking the length of the Boardwalk in Myrtle Beach is a great pastime. I recommend stopping for a beer every now and then. NOTE: Visit Myrtle Beach hosted our visit to South Carolina. You can read more about our visit, and why you should catch a flight to Myrtle Beach here. You can also see our post on the real beautiful views of Myrtle Beach: the Brookgreen Gardens Sculpture Garden.